Colin Munro and Doug Bracewell have joined the New Zealand T20I squad. 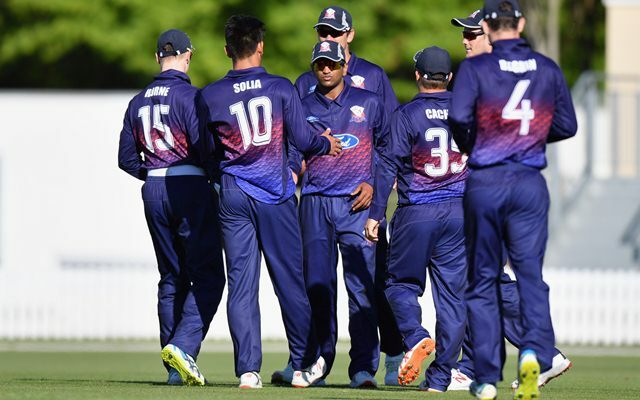 The Auckland Aces and the Central Stags will lock horns in the respective final league stage game in Auckland on Saturday which will decide the hosts for the Eliminator. The Northern Knights are confirmed of their top spot while Aces and Stags will fight out for the 2nd spot. Whichever team wins this fixture will be hosting the Eliminator final next week. The home advantage is crucial for both the teams as Auckland have won their previous two games in their home venue while Central Stags have registered thumping wins while playing at their home ground in Napier. The Aces have a chance of levelling with Northern Knights in the points column but the defending champions have more wins than Auckland. 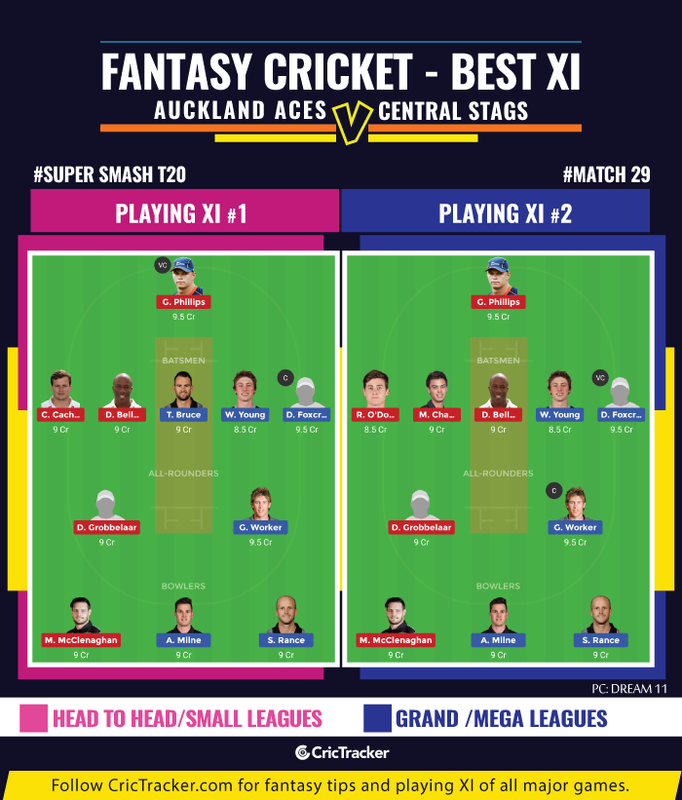 The 29th match of the Super Smash T20 2018-19 will be played between Auckland Aces and Central Stags at the Eden Park Outer Oval, Auckland. None of the three matches to be played on Saturday will be broadcasted in India. The recent games at Eden Park Outer Oval have been high scoring ones after some low scoring ones to start. In the last match here, the Auckland Aces chased down 197. Once again, a high-scoring game is expected at this venue. Chasing team record: Won – 4, Lost – 2. Daniel Bell-Drummond, Glenn Phillips (WK), Mark Chapman, Craig Cachopa (C), Robert O’Donnell, Graeme Beghin, Donovan Grobbelaar, Mitchell McClenaghan, Ronnie Hira, Matthew Quinn, William Somerville. George Worker, Will Young, Dean Foxcroft, Tom Bruce (C), Josh Clarkson, Willem Ludick, Dean Cleaver (WK), Seth Rance, Adam Milne, Ajaz Patel, Ben Wheeler. In – Willem Ludick, Dean Cleaver, Adam Milne. Out – Blair Tickner, Bayley Wiggins, Doug Bracewell. Dean Foxcroft put on a brilliant show with the bat this season batting at No.3 for the Central Stags. The all-rounder scored 196 runs from six matches he played this season with help of three fifties. He also picked up a couple of wickets. Bowlers – Seth Rance, Mitchell McClenaghan, Adam Milne. There are quite a lot of players who can make it to the fantasy team from this game. Going into the game, the best picks will be in form of Dean Foxcroft, Will Young, Daniel Bell-Drummond and Craig Cachopa. Both Tom Bruce and Mark Chapman have a couple of quite matches recently while Robert O’Donnell will come into play if there is an early collapse. Auckland Aces will start as favourites given their record at home and the Central Stags’ away performances.